Parramatta is the CBD that just keeps on giving. After an extensive look at the top 10 future Parramatta skyscrapers, the area is at it again with the South Quarter development being the gateway to Parramatta’s Auto Alley precinct. The 3 highrise & 2 low rise towers will completely transform the southern section of the Parramatta CBD, expanding the CBD south towards Granville. The mega development of the South Gateway known as South Quarter is the marquee build of the auto alley precinct. 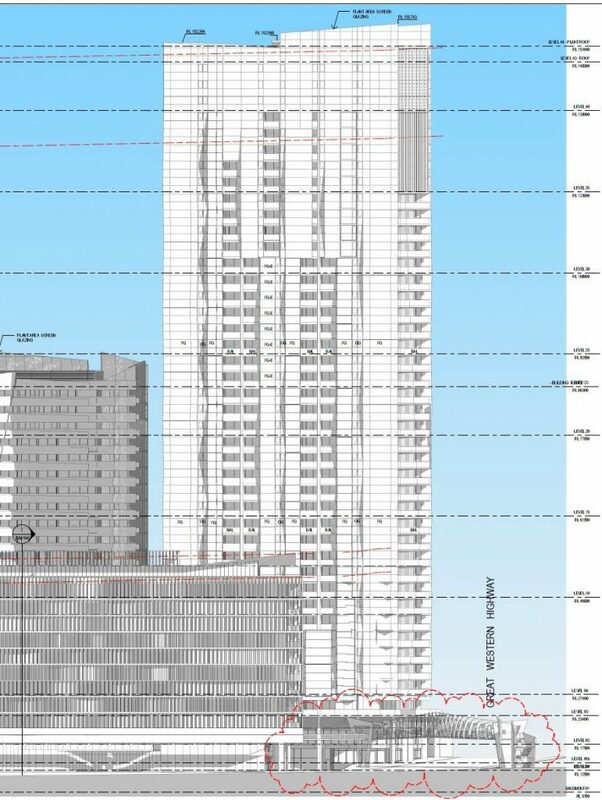 It includes 5 towers, 3 of which are high-rise & 2 of which will be mid-rise. 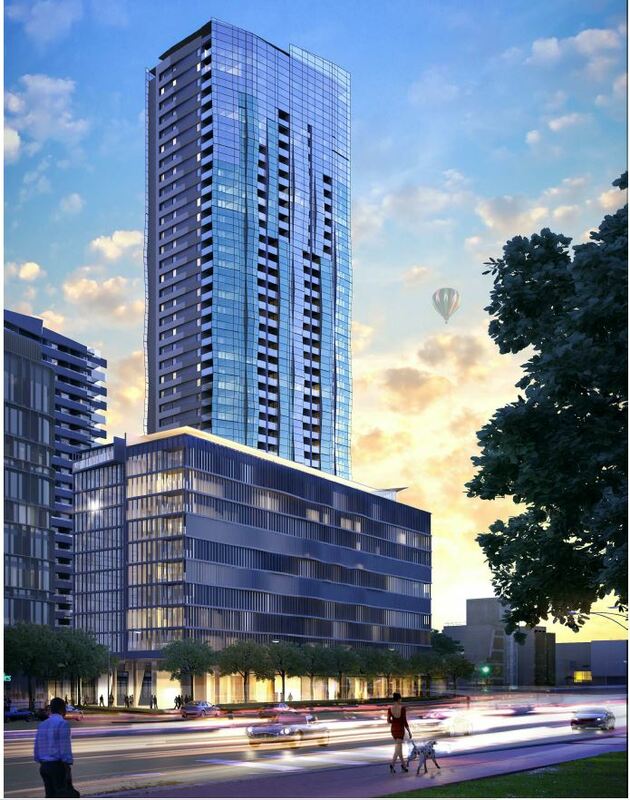 Site 1 includes a 41 story tower, a 23 story tower & a 10 story building. These towers will reach a height of 142m, 82m & ~35m respectively. The buildings are designed by Allen Jack Cottier Architects & will include a footbridge going over the great western highway giving residents easy access to Parramatta station & the Westfield shopping centre. 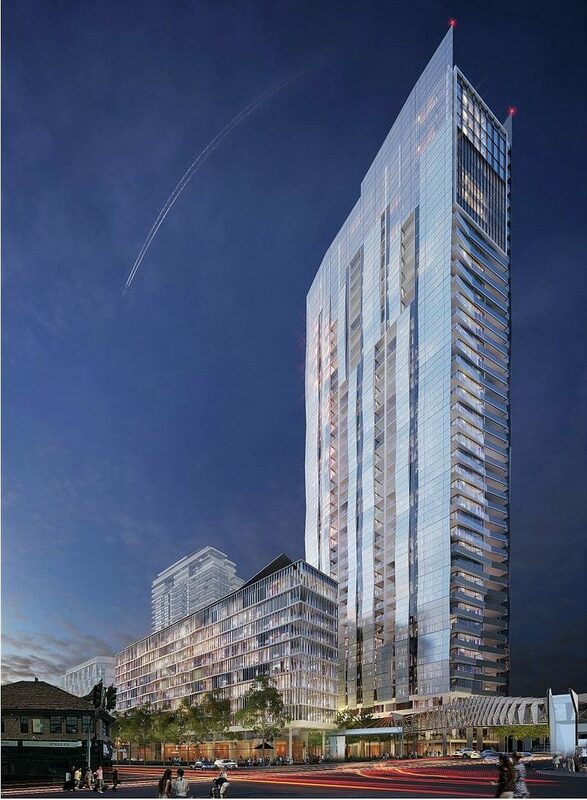 Site 2 & 3 includes a 31 Story Tower & a 10 Story tower which will reach 113m in height & ~35m in height respectively. These towers are designed by Turner architects & this site will also feature a 2,000sqm public park which will be accessible to both residents & the general public, which is a great feature & selling point, particularly for families, in a development as dense as this. The development includes a total of 777 apartments which site 1 includes 542 apartments & sites 2 & 3 include 235 apartments. The development also includes 275 hotel rooms. On site 1 there is a total of 874 car spaces meaning there will be ample car parking space for the 542 dwellings & 275 hotel rooms. The Developer is Dyldam which is considered to be one of the biggest construction companies in Western Sydney. 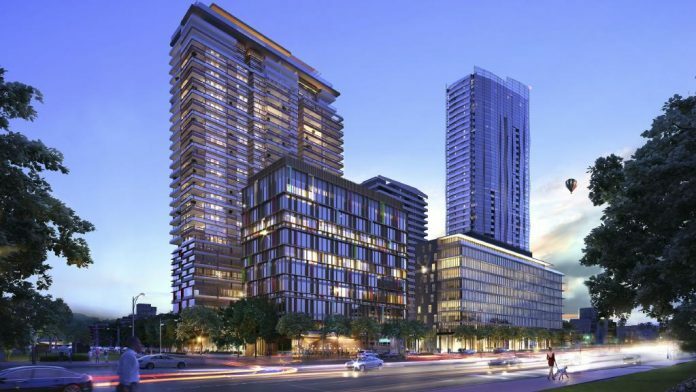 It is expected that the development would be completed by 2020, roughly the same time as the completion of marquee development named Parramatta Square to the north of this development. 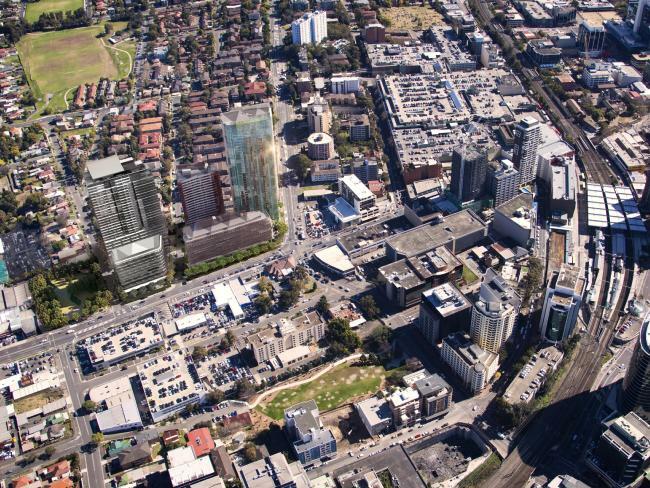 The Auto Alley gateway site called South Quarter will completely transform the Parramatta CBD.